Aquaponics is a type of hydroponics where fish provide nutrients for the plants and the plants help provide food for the fish. Both the fish and the plants provide food for you. It’s a perfect natural, symbiotic relationship. 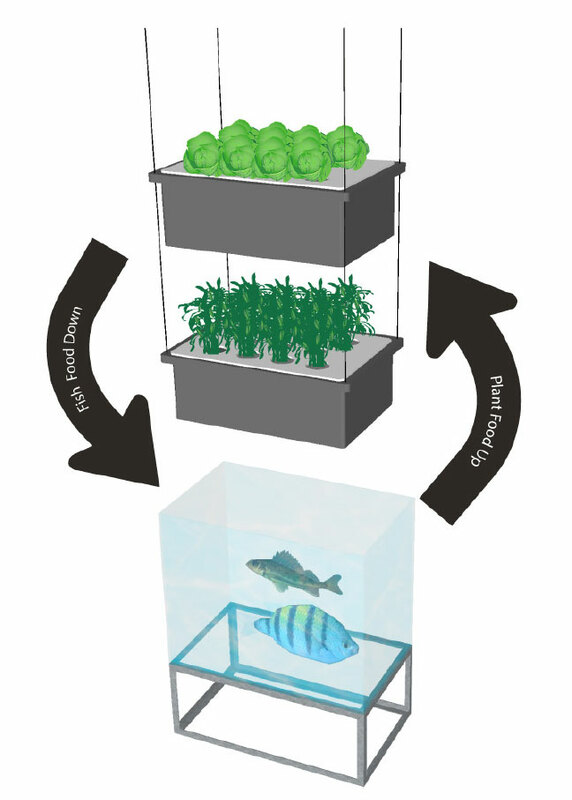 Growing with Aquaponics involves raising fish or other small aquatic animals in water. Plant roots are submerged in and constitute part of the underwater ecosystem. Fish produce byproducts that are broken down by bacteria that convert waste into nitrites and nitrates that in turn provide plant roots with the nutrients they need. Like hydroponics, growing with Aquaponics has many advantages over traditional, soil-based grow methods. The greatest benefits of Aquaponic gardening are that it is wholly organic by its very nature since it does not employ the use of chemically derived nutrients and Aquaponic systems do not require an artificial filtration system since the symbiotic interaction between plant roots, fish and bacteria provide a naturally balanced, self-sustained ecosystem.